This Christmas season, I haven't thought it right to celebrate with great pomp and excess- the simple pleasures of family and friends are precious in challenging times. 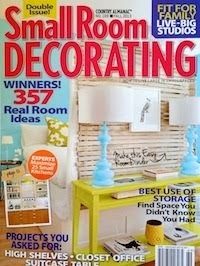 But it occurred to me this week, what with all the lovely things in the world, why not construct a dream decor list? My dream self could enjoy it in my dream house, guilt (and cost)-free! What a deal. 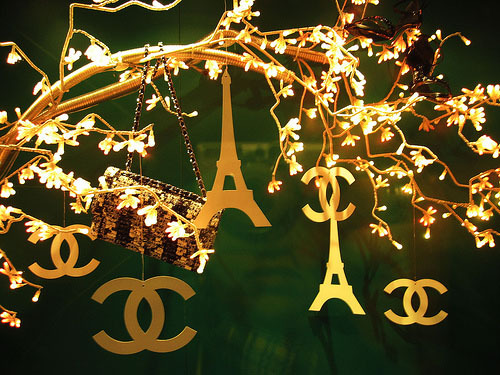 So here, especially for this season of wishes, my dream Christmas list. Come along and enjoy! 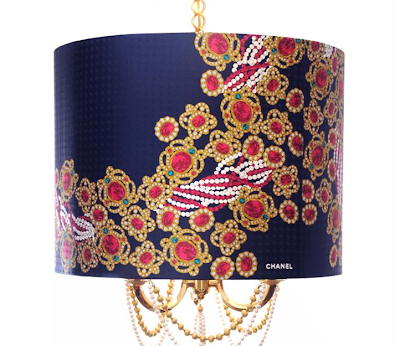 First, to illuminate my abode: a chandelier constructed from a Chanel silk scarf, and hung with real gold beads and pearls. By Suzanne Fellman, this bespoke piece is style incarnate (and so very subtle). Cold? One of my dearest little girl-heart wishes as a wee tot was for a rabbit fur coat (sartorially doomed from the beginning, it seems). 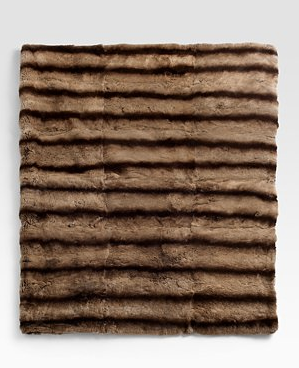 On a cold winter day, there are few things that feel more luxurious than snuggling up under a fur throw. Have a seat on this unique piece by Baker: the Thomas Pheasant Collection bench. 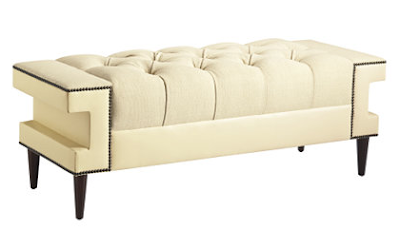 Modern and traditional together, with nailhead and tuft accents. It will suit my palatial foyer just fine. 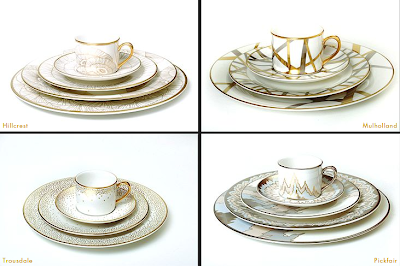 Kelly Wearstler has paired with Pickard to create her signature china, available in four gorgeous abstract patterns: Hillcrest, Pickfair, Trousdale, and Mulholland. Inspired by sea anemones, Hillcrest is my favorite - but while we're dreaming, I'll take all four! Why not? 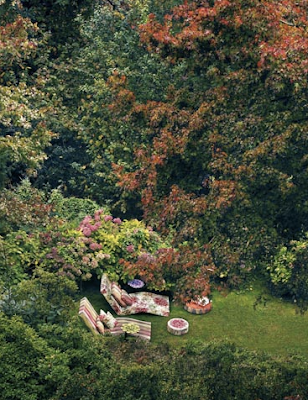 A relaxing sitting spot for two, with lounge chairs covered in Aeonium collection fabrics from Missoni textiles. Note that the yard is also mine. More lemonade? 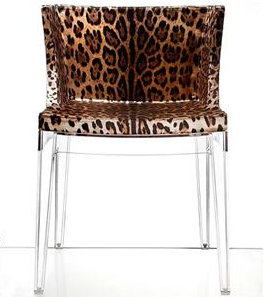 If it's getting a bit nippy outdoors, we'll step inside and shelter on some seating like the Starck Mademoiselle lucite chair, with leopard print upholstery. Not really that unattainable, but I'm not sure I'm daring enough to do a set in leopard! Enjoy them - there are no design mistakes in dream-land. I have some exquisite gifts to wrap - but no Scotch stuff for me! I'll be using this lovely Iomoi tape dispenser to snip off the sticky while decorating presents in my own private giftwrap room. What's a house without flowers? 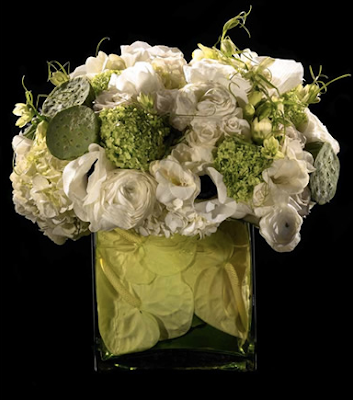 A year's worth of weekly deliveries from New York florist Bloom is true luxury - I'll have a bouquet for every room, please! My dream house is full of ever so many lovely things. What'll I store all these lovelies in? 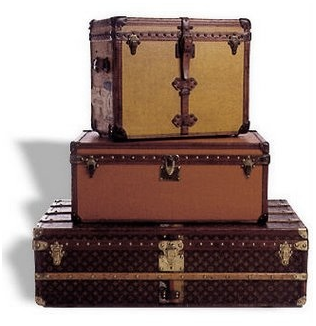 Why a vintage Louis Vuitton trunk of course - I'll need several. 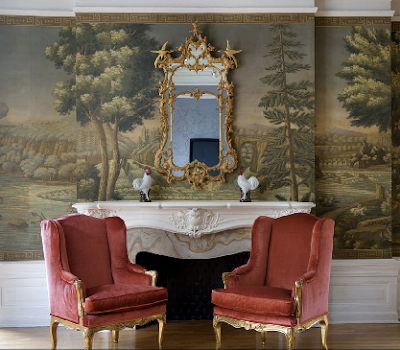 Finally, my four walls and a roof will be papered in de Gournay wallpaper, pretty as can be. What will your Christmas decor dreams be? LOVE your gift list! The Fellman piece is amazing. Well, everything is! 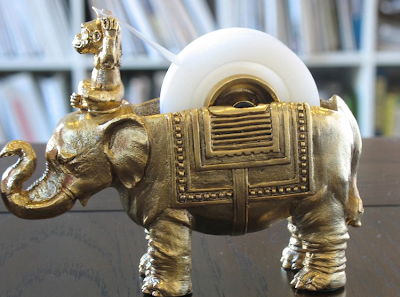 Funny, I purchased the Iomoi tape dispenser for a friend of mine. Hope she likes it. I just tell Santa to drop your list off at my house too. Great picks! I freaking LOVE that chandelier! What a fun post! Your dream house sounds divine (and decadent!). And there's no harm in indulging in a little fantasy, is there?